I just can't be idle for long and I thought a little quiet sewing in my studio would fill some of the time. I got the small quilt bug from Linda over at The Quilted Pineapple. 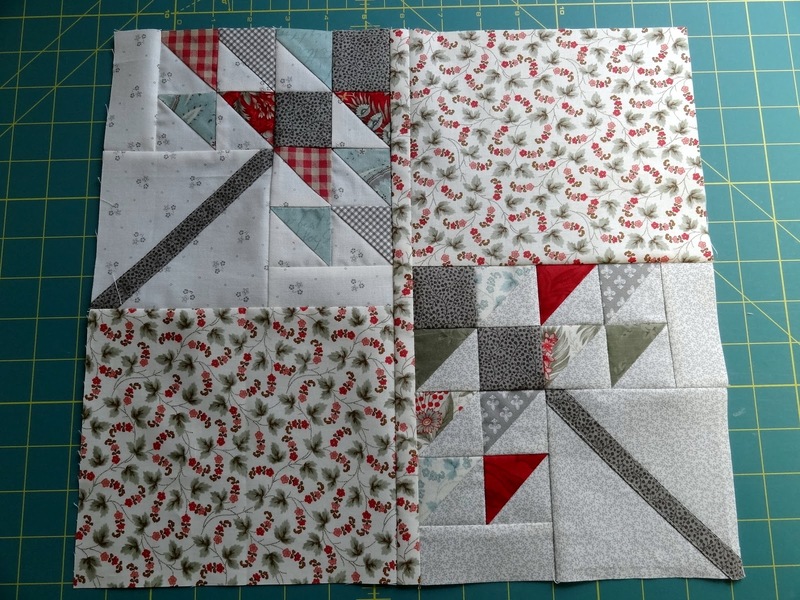 She is turning out some great little quilts lately in addition to her gifted longarm quilting business. A dear friend gave me some darling fall themed 2 1/2" squares which I thought would be fun in this little Itty Bitty Primitive pinwheel quilt from Primitive Gatherings. I finished the top yesterday. There is still a little surprise I'm adding to this one and I'll show it to you as soon as it's finished. I also finished another of my Cottage Charm BOM blocks. I wasn't going to show this one as it feels awfully light in value to me, but it does seem to photograph better than it looks in person! Imagine that. I'm really hoping the next one has a tad more color and pizzaz! Every day I feel a tiny bit better. I hope by next week I'm good as new. Until then I think I'll be spending my time right here in my studio having some quiet, summer sewing fun! Hope you get better...nothing does a body good than a little sewing...love what you have done. I'm sure you feel like you've been sucker punched. My dad says as long as you're taking nourishment orally you're doing OK. :o) That itty bitty pinwheel is adorable. So sorry you've been sick, and pneumonia is sure nothing to mess with. Take good care of yourself and keep working on those minis! And I don't see a thing wrong with that block. Oh, I'm so sorry you've been sick. Get plenty of rest. Pneumonia takes a lot out of you. get better soon. not a nice way to spend part of the summer. Oh, that is a teeny top. Take care of yourself-----I know those fish are calling you. What a fun little bitty quilt. I am impressed. Great job! Omigosh, hope you heal fast--pneumonia is nothing to trifle at. Glad you were home before you got really sick! Your fabric play really fun-love that tiny twister. And the light block is interesting even though the contrast isn't that significant. It'll all turn out well in the end, I'm sure! Take care you two. Oh nooo. Get well soon. Take care of yourself, Candace. Pneumonia can be very debilitating. I'm with you...quilting is just as good a cure as chicken soup! I hope you are doing better Candace. Your quilts and blocks are just darling. 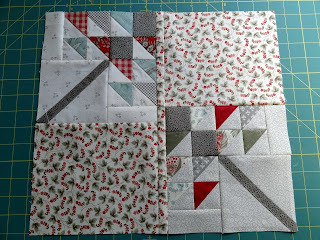 Maybe quilting is just what the doctor ordered! Please feel better soon! I had pneumonia a number of years back and you are right it stops you in your tracks! Hope you are feeling better soon. Take it easy!! Wow - pneumonia! Hope you are back to your regular self real soon. Get well soon Candace. Lemon Eucalyptus helps with pneumonia. I am prone to it too. What lovely sewing you have managed!